In Store & Online: Charlotte Russe is offering a 20% exclusive one time use coupon instantly after sign up with no minimum purchase for new email subscribers. Here's a preview of the coupon that you will receive. Note: Sign up is at the bottom of their homepage. Students do not need to print the coupon for the 10% discount, they just need to show their ID in stores. This week only, you can get everything up to 60% off at Charlotte Russe stores and online. Print out the whole email, get 30% off their clearance items. Print coupon or show on mobile device for a 15% discount on everything in store. Offer valid in store until 6pm today & online. Print email for a $10 discount on your $50 purchase, $15 off $75 or $25 off $100 when you shop at a Charlotte Russe store near you. 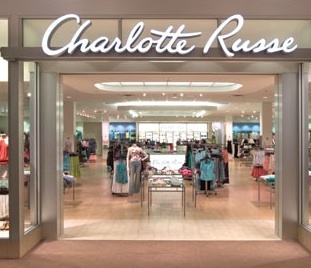 Charlotte Russe is a retail store that specializes in clothing, jewelry, and accessories for women ranging from their teens to early twenties. The store offers customers access to major fashion trends at competitive prices! From money-off coupon codes to discount promos to free shipping coupons, you'll save big at Charlotte Russe when you use these special offers.